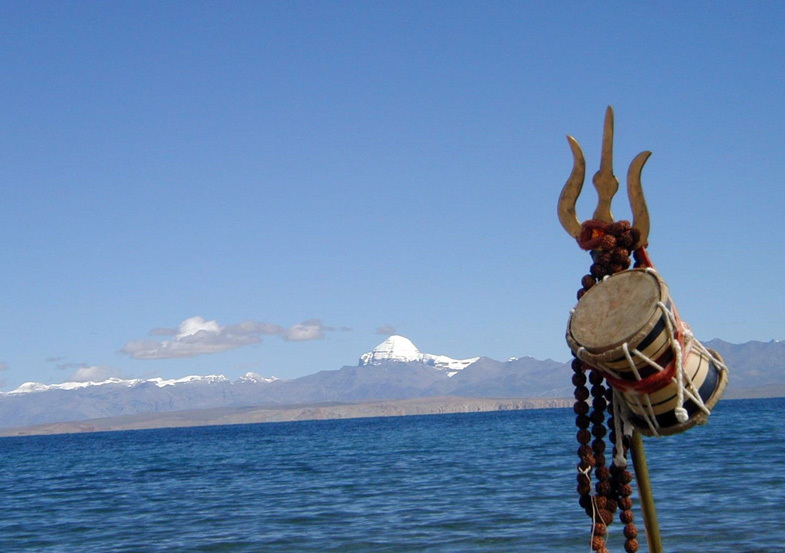 (TibetanReview.net, Apr05, 2018) – In a sign of semblance of return to normalcy in Sino-India relations, China is to let in a total of 1,580 pilgrims to the Kailash-Manasarovar pilgrimage sites in remote western Tibet this year, with 500 of them taking the Nathu La pass route, reported outlookindia.com Apr 4. The Nathu La pass route in Sikkim was closed by China after the Doklam military standoff last year which lasted 73 days over Jun-Aug.
Mt Kailash, known to Tibetans as Ghang Rinpoche or Ghang Tesi, and the adjoining lakes and other sites are sacred to Hindus as well as Tibetan Buddhists. The report cited India’s Minister of State for External Affairs VK Singh as saying in the Lok Sabha that the 2018 pilgrimage will take place through the arduous Lipulekh route in Uttarakhand state and the recently opened longer but more convenient Nathu La route in Sikkim over the Jun-Sep period. “There will be 18 batches of 60 yatris (pilgrims) each in the Lipulekh route and 10 batches of 50 yatris each in the Nathu La route,” Singh was quoted as saying. The report recalled that last year, Singh had told the Rajya Sabha that following the Doklam stand-off between the armed forces of India and China, a total of 392 pilgrims selected for travel to Kailash Mansarovar via the Nathu La route in eight batches were affected due to the deferment of the yatra. China had said it would allow the yatra only if India withdrew its troops from the Doklam area in Bhutan, near Sikkim.